London Heathrow airport features Ben&Jerry's ice-cream machine; oh-my-god! 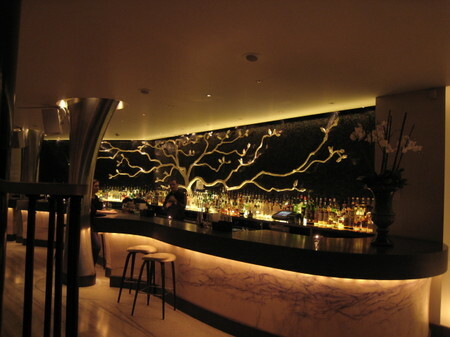 Picture: The lounge and bar at ultra-fashionable Nobu restaurant in London. London has become one of the most important financial centers in the world. It is also the epicenter for hedge funds. Most of them have set up shop in Mayfair, off Piccadilly. A good place to meet the famed managers is the ultra trendy Nobu Restaurant on Berkeley Street in Mayfair. Already the entrance of this Japanese Fusion Restaurant is impressive, as five immaculately dressed and drop-dead beautiful girls receive guests with a sub-zero smile. On the ground floor the restaurant, which belongs to a global franchise, sports a trendy lounge designed by David Collins. 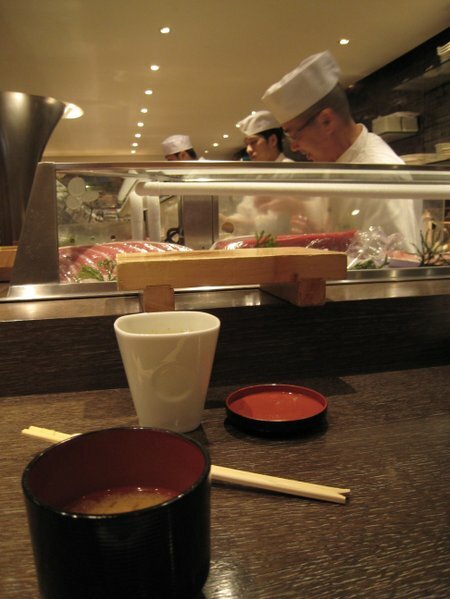 Upstairs the discerning hedge fund manager can savor the exquisite Japanese Fusion Cuisine that blends old with new: from Bento boxes to Udon soup and tempura everything is available, but often with a twist. Picture: trendy, central and cosy, The Metropolitan Hotel in London. First and foremost I do not like London hotels for the simple fact that they are incredibly expensive. However, as I go on business trips to London, I have to stay somewhere and this time I opted for the contemporary The Metropolitan Hotel near Hyde Park Corner. 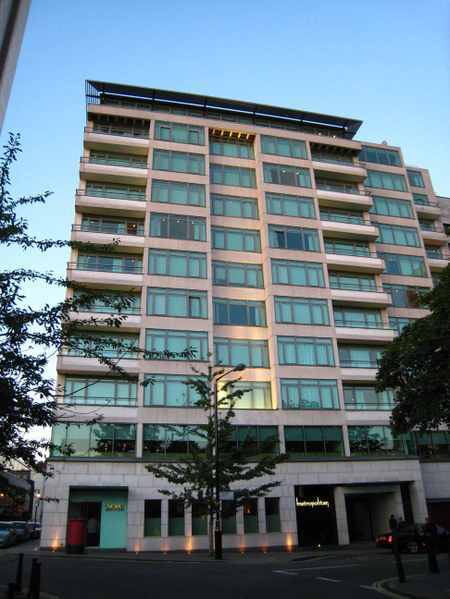 The hotel is surrounded by international big names like Four Seasons, Intercontinental and Hilton. And while I stay in The Metropolitan the Scotland Yard prevented a lethal assault on the Russian émigré Berezovosky who was supposed to speech at a conference at the Hilton next door. The Metropolitan is also home to the incredible trendy and busy Nobu Japanese Fusion Restaurant and also boasts a trendy bar. I particularly like the rooms with a view on Hyde Park and the gym is undergoing a huge upgrade, so in the future even the workout can be done in style. If you do not like the grandezza of the big international hotel chains, go for this contemporary jewel. My first really truly soul-shaking audio-experience happened when as a teenager I listened to Pink Floyd records in the basement of my parent’s house: I had two towering Infinity loudspeakers, a Yamaha amplifier and a comfy chair in the (almost) sound-proof cellar and I listened for hours to Pink Floyd's record The Wall. When I recently went to the South of England I drove past a massive and empty structure that used to be a power station. And I knew the building immediately as it features on the Pink Floyd-cover of the record Animals. 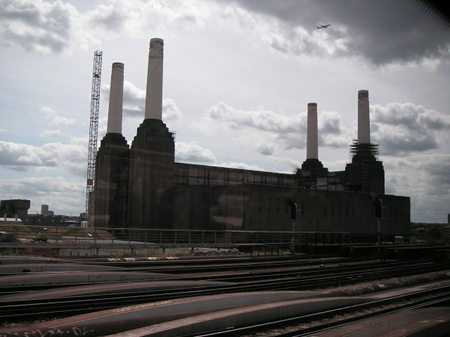 The picture of the ramshackle and crumbling power station reminded today me of Syd Barrett, the gloomy and psychedelic founder of Pink Floyd, who died this week, aged 60. He was the brain-child and god-father of psychedelic rock, "the Ikarus of psychedelic rock", as he once was dubbed. I have to admit that especially the record The Wall still leaves me startled and I never fully grasped the magnitude of some Pink Floyd records. But maybe they can only be understood under the influence of mind-altering substances, as Syd was an avid user of them. Anyhow, may he rest in piece. 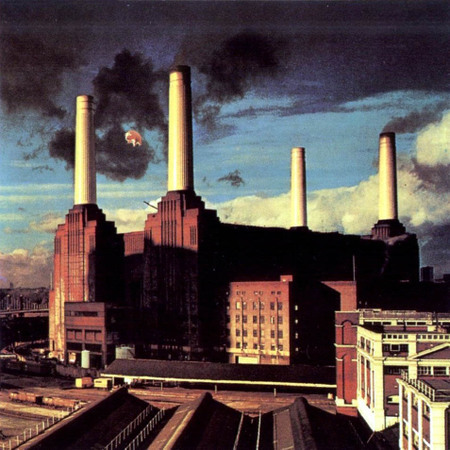 Picture: Spot the pig on the Pink Floyd cover of the record Animals. 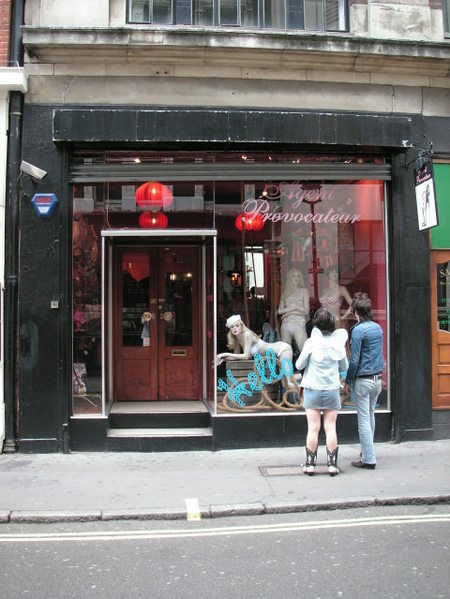 Agent Provocateur, one of the new, trendy and definitely not-seedy lingerie stores in Soho, London, where even the grumpiest husband will light up in this shop. 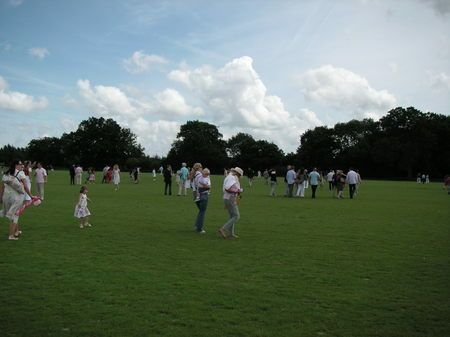 Picture: A goal about to happen in front of Knepp Castle, South of London. 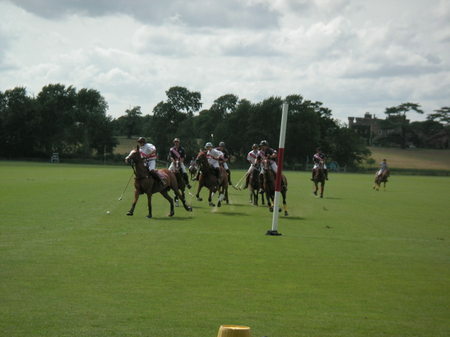 According to a spectator polo was brought back by the English from India. Therefore I was a bit curious to see what this English upper-class sport (Prince Charles and his sons play it) is about. One hour south of London in West Sussex I attended the Knepp Castle's polo tournament in front of majestic and ancient Knepp Castle. Being young and non-English I felt a bit like the young tennis player introduced into English upper-class in the Woody Allen movie "Match Point". Everywhere English gentry in immaculate suits, Panama hats, sipping Champagne and Pimm’s. They talked about their second flat in London, their country-house in the South and their holiday apartment overlooking Central Park in New York. The game itself was furious, fast and not too gripping as the spectators preferred to sip Champagne and Mojitos than trying to follow the players chasing a white ball the size of a tennis ball over a vast green field. I appreciated the sunshine and being out on the country side for a change, but it was difficult to make small talk for more than a couple of minutes. And I gently declined when I was asked to ride a polo pony. Or an elephant. Picture: Treading the turf in order to fill all the potholes from the game. 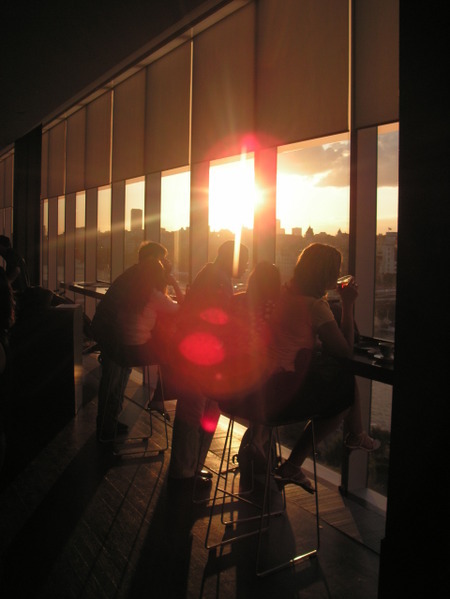 Picture: Sunset in the cafeteria of the Tate Modern Museum in London. Sunsets might not be the thing you want to see first in London. But should you a fancy a romantic setting for a sunset I can warmly recommend to go to the 7th floor cafeteria of the Tate Modern Museum overlooking the Thames River. After the sunset you can even watch some fancy modern art as the museum is open until 10pm. Bad food, rude staff and bed weather, this is what Great Britain is known for. But how far away from the truth that is! 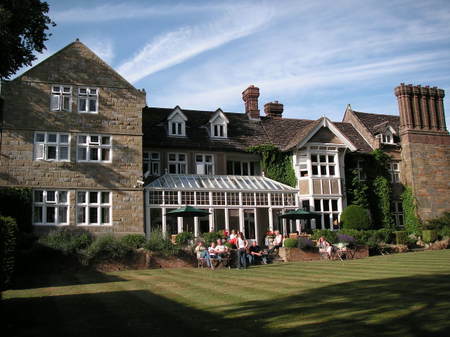 After a day at the polo-pitch at Knepp Castle 1 hour south of London, I checked into stately Ockenden Manor in Cuckfield, near Hayward Heath, close to Brighton, in the South of London. 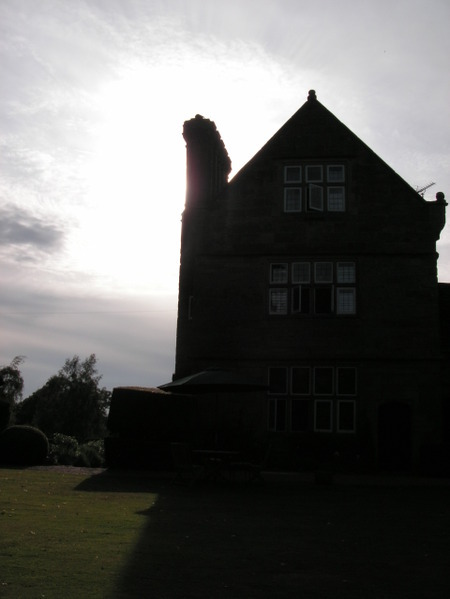 The charming guesthouse set in a 9 acres garden has 20 lovely rooms and a lounge complete with fireplace and where tea is served. The manor also boasts a sun-soaked terrace and a charming but basic garden. But the real attraction is the restaurant housed in an oak-paneled room with chandeliers. The 3-course menu was truly exquisite (the cook was French) and the rhubarb-tart for desserts from heaven sent. Not only was the food truly marvellous but the staff absoluetly charming and attentive on top. I even felt a bit English when I had tea in the lounge with all the other guests around. The manor is the perfect romantic hide-away to relax from a hectic week. And yes, as the house dates back to the 16th century it has three friendly ghosts, apparently.